This is a free preview of chapters 1-3. Master puppeteer Grisini is so expert at manipulating his string-puppets that they seem alive. 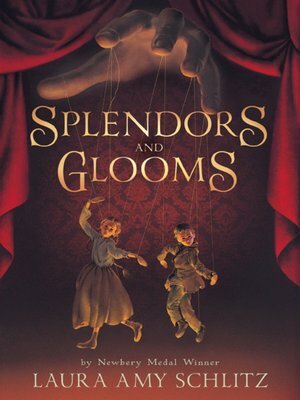 Spellbound by his act, Clara Wintermute, the only child of a wealthy doctor, invites the puppeteer to entertain at her birthday party. Seeing his chance to make a fortune, Grisini accepts. With caravan, puppets, and two orphaned assistants, Grisini makes his gaudy entrance. To Lizzie Rose and Parsefall, Clara seems to have everything they lack: adoring parents, warmth, and plenty to eat. In fact, Clara's life is shadowed by grief, guilt, and secrets. When Clara vanishes that night, suspicion of kidnapping falls upon the puppeteer and, by association, Lizzie Rose and Parsefall. As they seek to puzzle out Clara's whereabouts, Lizze and Parse uncover Grisini's criminal past and wake up to his evil intentions. Fleeing London, they find themselves caught in a trap set by Grisini's ancient rival, a witch with a deadly inheritance to shed before it's too late.